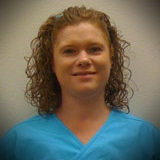 Dr. Jennifer Kaldy is originally from Salt Lake City, Utah where she attended University of Utah. She received her Doctor of Chiropractic from Palmer College of Chiropractic West in San Jose, California. She has been in practice for 16 years. In her free time she enjoys spending time with her two daughters and traveling. She also loves running and has ran several half marathons.